As group health insurance costs continue to rise, one strategy employers evaluate is a formal wellness program. In fact, a recent Wells Fargo Insurance survey found 51 percent of employers are looking to add or increase wellness initiatives to improve the health of their workforce. Employees appear to be on board as well. According to a recent HealthMine Survey, 75 percent of employees want their employer to offer health and wellness incentives. So, do wellness programs really save companies money? The answer may not be so cut and dry. In the last few years, wellness programs have become a popular employer benefit offering - with 60 percent of U.S. companies offering some type of wellness initiative - up from just a third of employers in 2009. According to a new study from nonprofit think tank Rand Corp, wellness programs are now a $6 billion a year industry. The idea behind wellness programs - and the reason for such mass adoption - is they lower or help control healthcare costs for employers. Employees receive preventive care they need, stay fit and active, and receive information and resources to reduce expensive medical claims. A healthier workforce also means reduced absenteeism and turnover due to health. According to the new study by Rand Corp, the answer is yes and no. The study examined nearly 600,000 employees at seven employers and showed that lifestyle wellness programs are having little immediate effects on the amount employers are spending on health insurance costs. On the flip side, wellness programs focused on disease management do see short term results. Lifestyle management programs - those that encourage healthy eating, tobacco cessation, and exercise - see benefits realized in the longer term. Disease management programs - those that provide intervention for diseases such as heart disease, diabetes, and emphysema - see benefits realized in the shorter term. Clearly define wellness program goals. 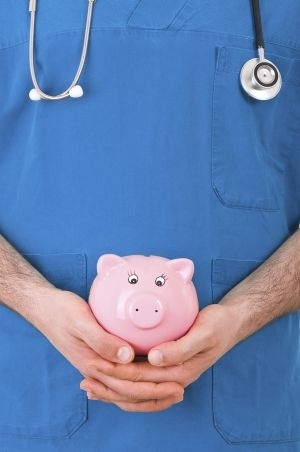 Wellness programs are not always about decreasing premium costs. They can also be about improving workforce health and creating a culture of health. Pay attention to cost. Be strategic with company dollars and, when possible, measure return on investment. Execute consistently. The study found employers with strong commitment to the program had longer lasting results. So, do wellness programs work? Yes - they can. As the recent study suggests, however, companies can see the highest return on investment by clearly defining the goals of the program, executing the program consistently, and paying close attention to their health insurance costs. Is your company using wellness initiatives to help control health insurance costs? If so, is it working? We’d love to hear your perspective. Leave a comment or question below.